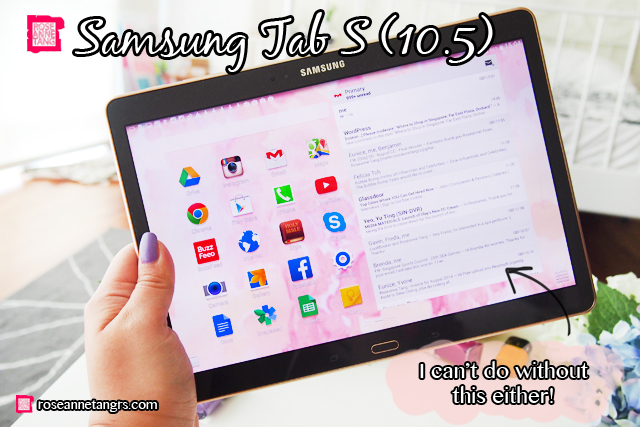 If you’d like more information on the Samsung GALAXY Tab S (10.5”) LTE, here we go! It’s Samsung’s newly launched flagship tablet and I love it so much. I’ve always thought though – “hmm..maybe I don’t need a tablet” but nowadays, my workload is pretty crazy and I always need something that I can work with on the go. It is also so ridiculously light and portable despite the large size. I don’t feel the bulk at all and I really appreciate the slim design especially when I have to bring it everywhere with me. 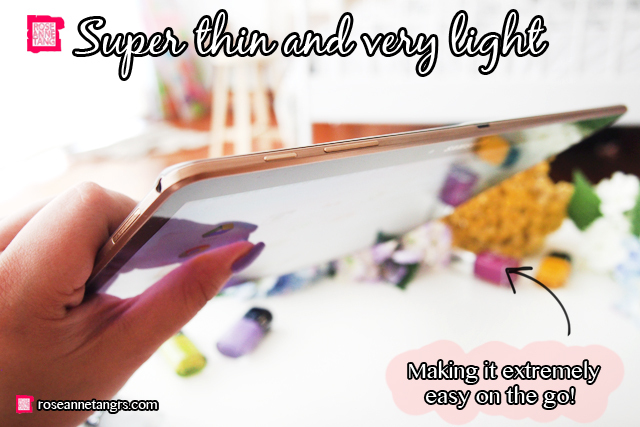 There are actually two colours that this tablet comes in – Dazzling White and Titanium Bronze. The one I have is Titanium Bronze. The Samsung GALAXY Tab S (10.5”) LTE is perfect for this and I have basically everything I need on this baby. 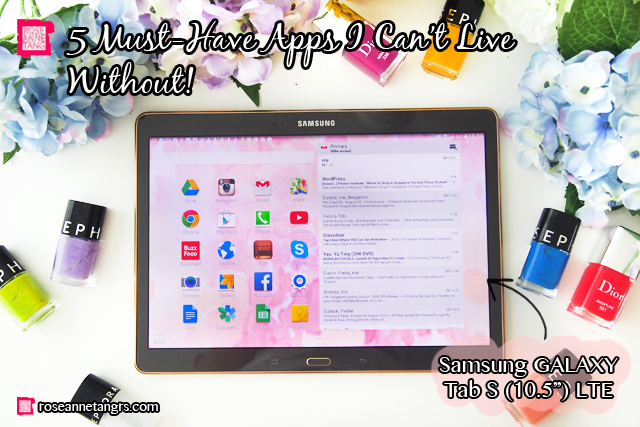 Here’s the lowdown on the coolest features that I love about the Samsung GALAXY Tab S (10.5”) LTE! This includes GALAXY Gifts – Enjoy local and international content such as Toggle, SPH Magazines, Marvel Unlimited, GigOut! PLUS and many more – and GALAXY Life – Your passport to exclusive privileges, interesting app recommendations, content features, and lifestyle articles. Redeem exclusive privileges and deals at participating merchant outlets for GALAXY Tab S users on “GALAXY Life” app. I really like the SPH Magazines app because it’s so convenient. I have all my favourite magazines in one tablet and I don’t have to fuss over the pages! Exclusive GALAXY Tab S deals include: E2Max – Enjoy 30 minutes’ bonus with rental of E2Max, F1 Simulator – Free 10 minutes trial (worth $30 an hour), Party World – 3 persons for the price of 2 (worth up to $93), Play Nation – 3 gaming packages for the price of 2. Promotions are subject to third party service providers’ terms and conditions. It’s like Buzzfeed for beauty. 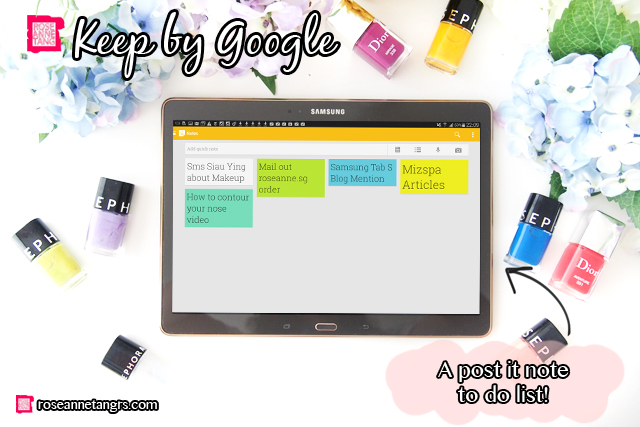 They have a ton of beauty articles on this app – from beauty news to the latest beauty launches to tips from your favourite famous makeup artists. 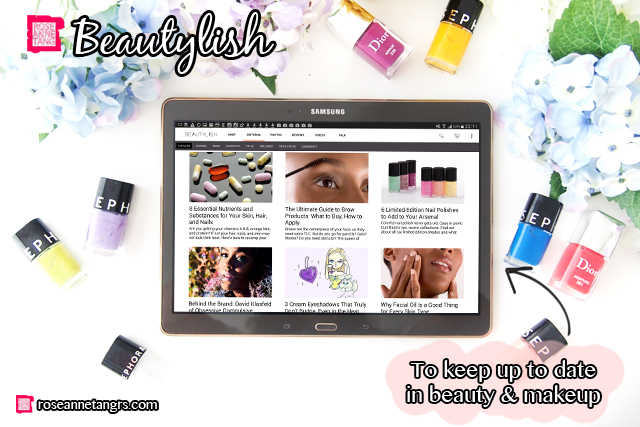 When I’m bored, I’ll browse beautylish to stay current with the trends not only in Singapore, but worldwide. I love keeping my ideas organised and sometimes ideas and to do assignments pop out of nowhere! That’s why I always have Keep by Google. I simply paste a post it note of a thing I have to do and I can cancel it once I’m finished. It feels more organic than writing things down all the time and perfect for on the go. Oh my gosh, if I had a dollar for every time I read Buzzfeed, I’d be a literal millionaire. I wake up in the morning and I read buzzfeed and it’s the last thing I read at night. From articles about the current top news politically to what’s going on between Taylor Swift and Katy Perry to even the top 10 puppies to make you smile – you’ll find everything. Seriously, I’m not too much a person to watch the news or read the newspaper but after I started reading Buzzfeed, it’s become a totally different story. I am so in love, no joke. Because I have to now watch my weight, this is an amazing app to keep track of everything that you eat. Fill in foods for breakfast, lunch and dinner and keep track of not just your calories but your fat percentage. You can modify the serving size and you can create custom foods too! 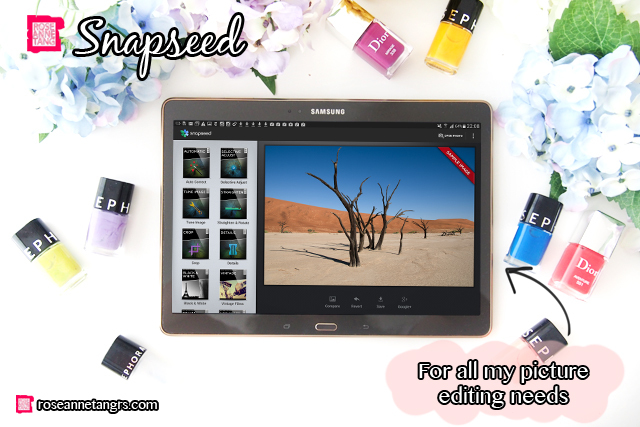 Last of all, I get a lot of questions asking me how I edit my photos! I edit them with the Snapseed app! I used to use vscocam but I realised it kinda makes my pictures a little blurry sometimes. Snapseed allows you to edit ambience, brightness, contrast and saturation so it’s really on point. I love it! So those are my top 5 apps! Hope you found this useful! Thank you. Really nice apps I would be downloading them.